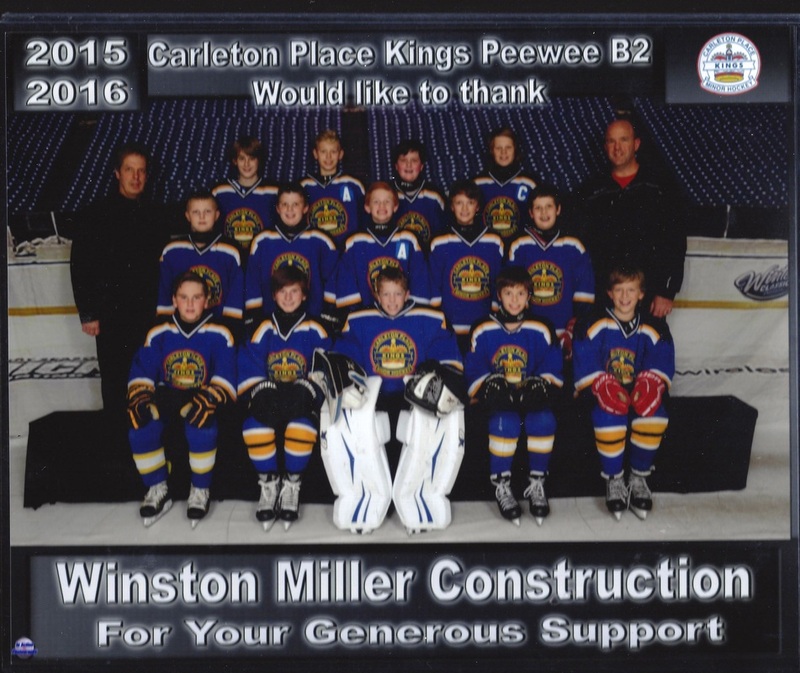 In Our Community - Winston Miller Construction Inc.
Winston Miller Construction Inc. feels very strongly about giving back to our community. 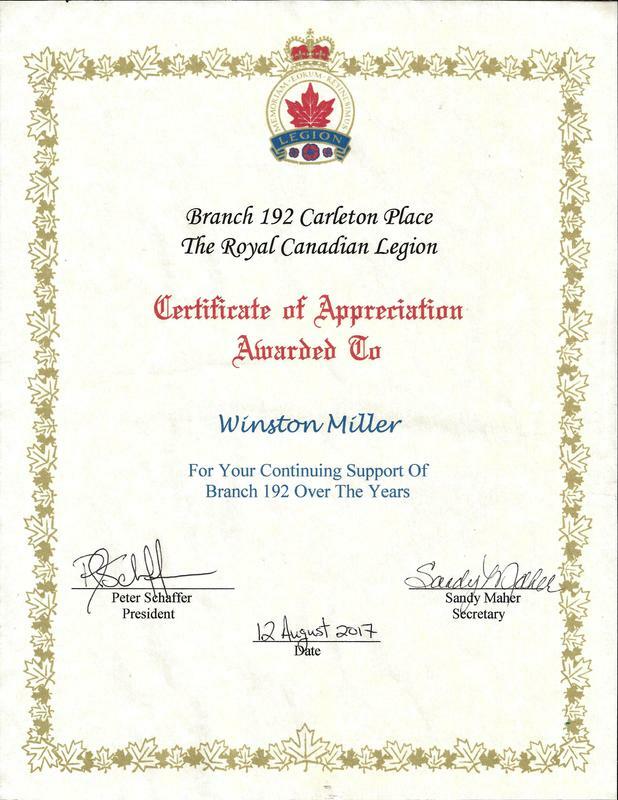 From donating our services to those who can't afford it, sponsoring local teams, donating gift certificates to many local charity events, as well as helping to raise money for the Heart and Stroke Foundation through participation in the Big Bike, we believe every little bit helps. Winston also volunteers to remove the snow from the skating rink located outside the police station and fire hall, and The Royal Canadian Legion. 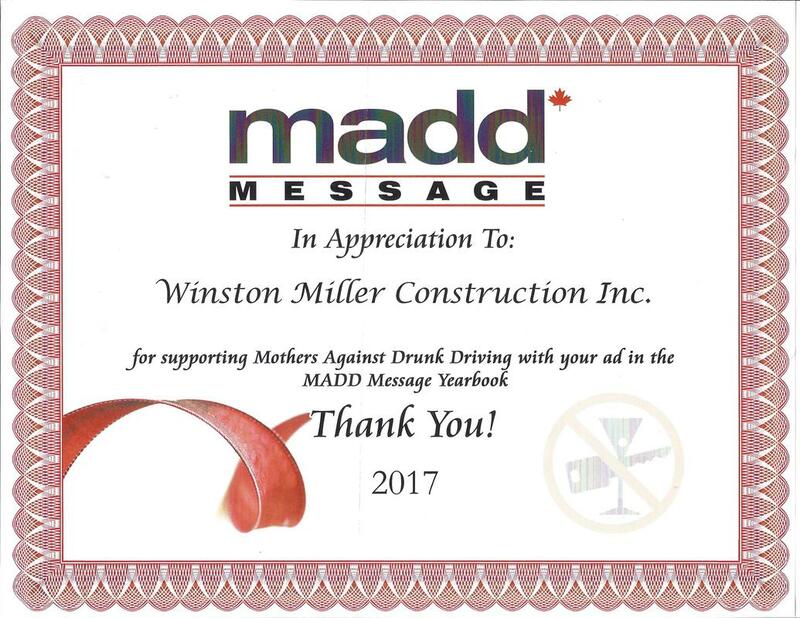 Winston Miller Construction Inc. takes part each year in the Carleton Place Maskeraid Halloween Parade, collecting food items for the Lanark County Food Bank and delivering them after the parade.